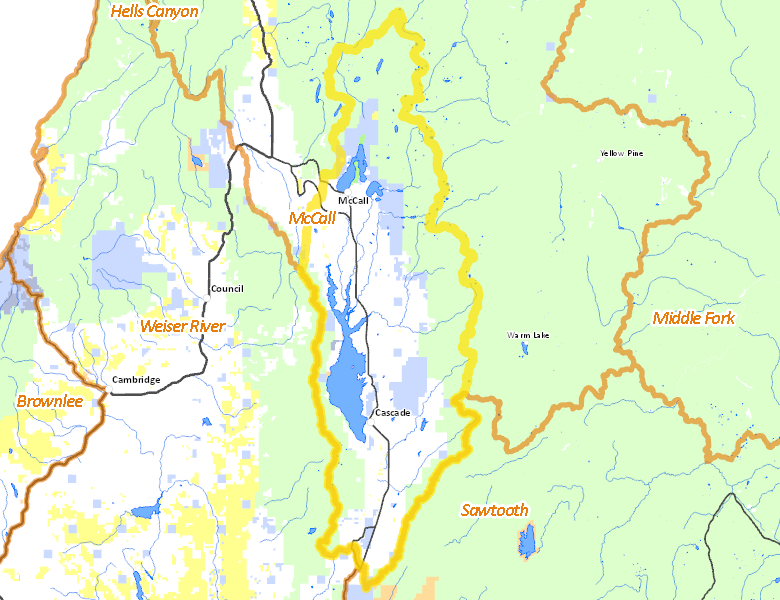 That portion of VALLEY COUNTY within the drainage of the North Fork of the Payette River, EXCEPT that portion south of the Smiths Ferry Bridge-Packer John Road on the east side of the river and south of the Smith Ferry-High Valley Road on the west side of the river. No properties are currently available in Unit 24. There are no wilderness areas in Unit 24.